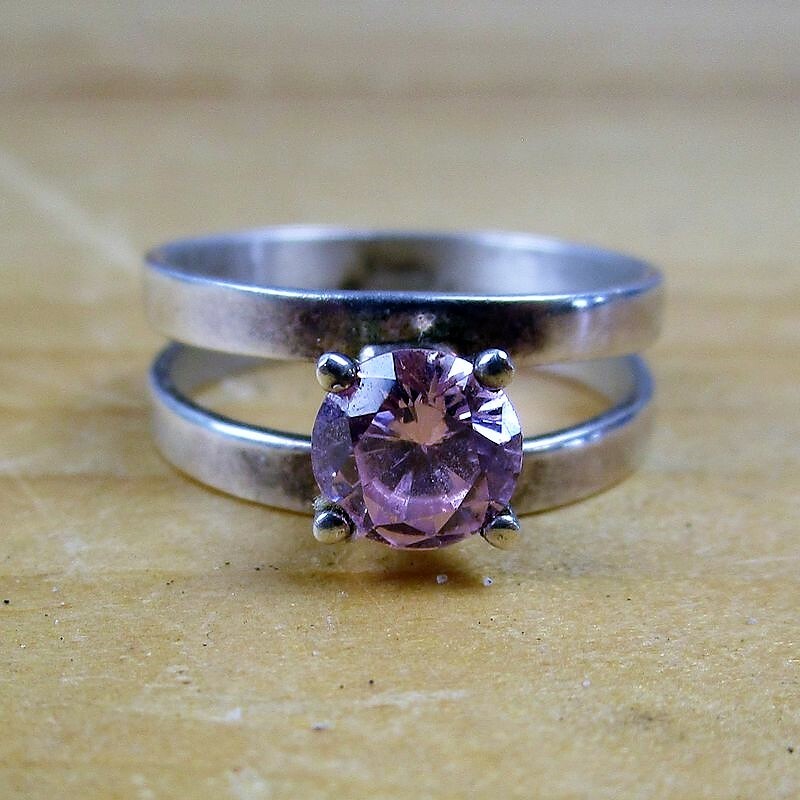 (23z) - A stunning vintage sterling silver ring from TAXCO with a quite large and beautifully cut pink stone that consignor believes to be a pink sapphire. Multiple worn hallmarks on the inside of ring. This is a very nice ring! **Lot Details: (23z) - A stunning vintage sterling silver ring from TAXCO with a quite large and beautifully cut pink stone that consignor believes to be a pink sapphire. Multiple worn hallmarks on the inside of ring. This is a very nice ring!